My original plan for the floors of the powder room was to do black hexagonal tile. 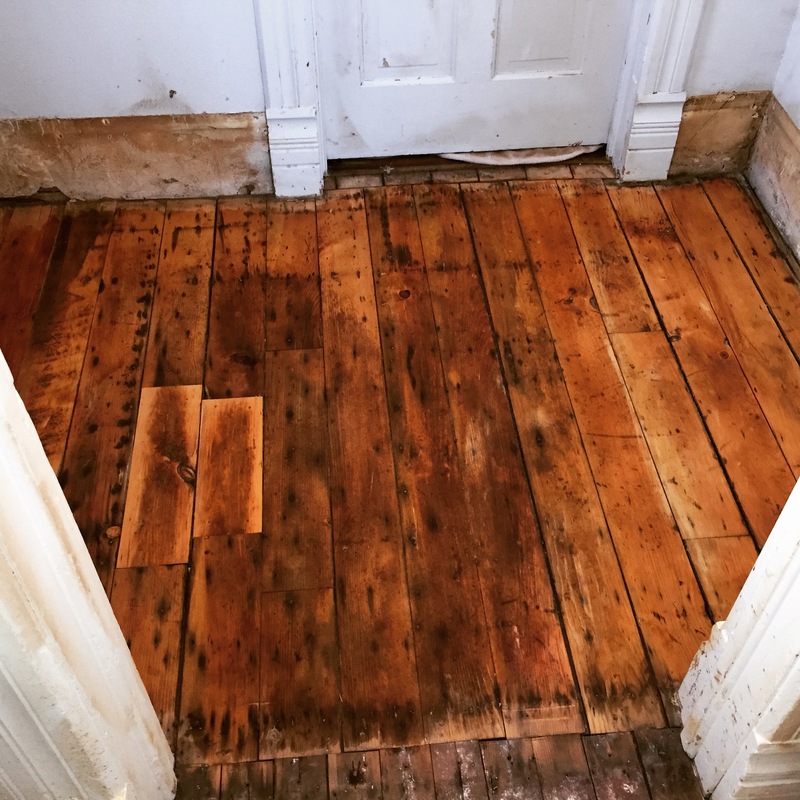 But, after a little more thought, we decided that we should really try to see what the original floors were like. I really like the idea of showcasing as much as possible, what original features of the house remain. 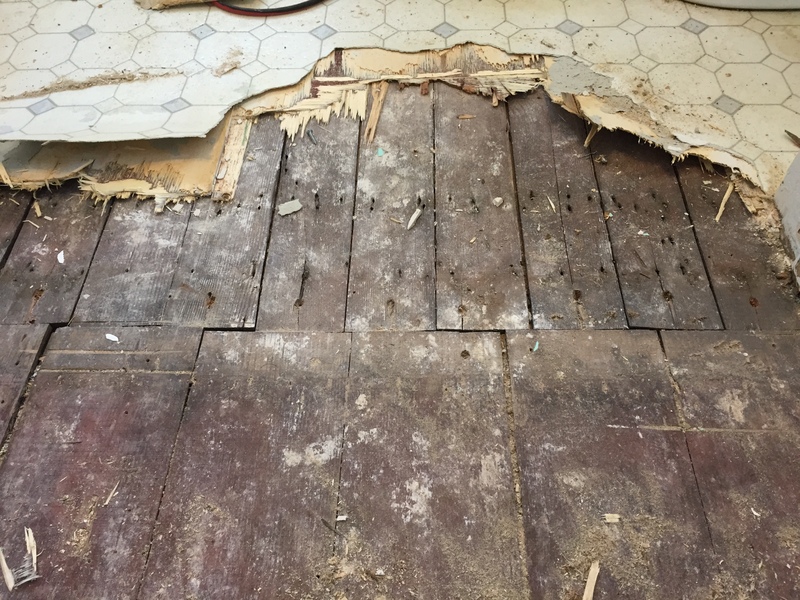 After taking up the 1990s linoleum and subfloor, pine plank flooring was revealed. At the bottom of this this photo- the wider planks for the powder room. 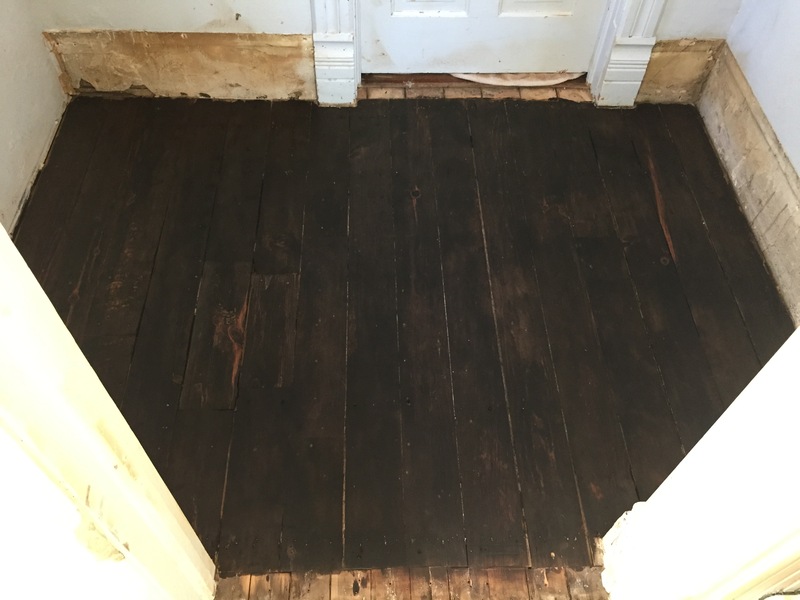 The top shows that the floors of the adjoining butler’s pantry are narrower. I wonder why? Maybe it was a way to show that the butler’s pantry was a “fancier” room than the room that is now my powder room? There were a few rotten boards to the top left of this picture (which corresponded to the rotten box sill on the exterior that we replaced early on in our ownership). 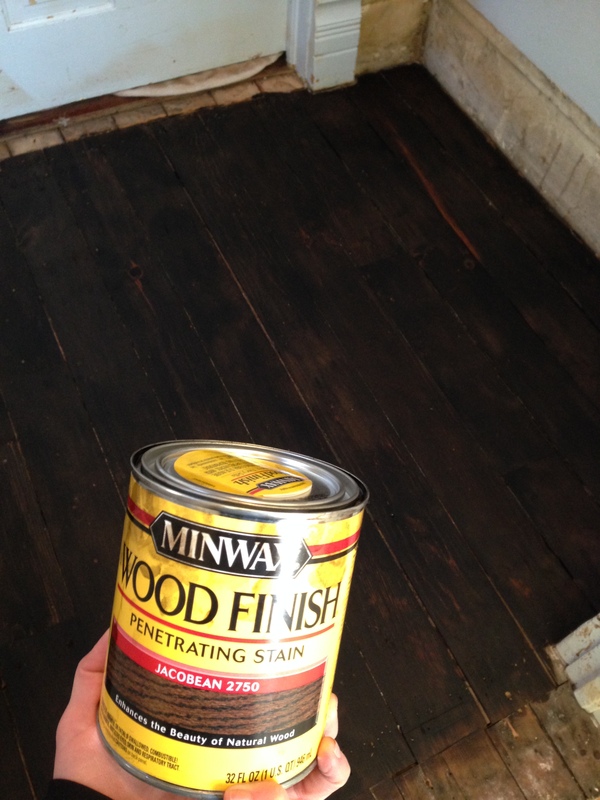 We were able to use planks salvaged from our upstairs bathroom project last year. As you can see, there were also a few damaged spots towards the center of the floor that needed to be replaced. 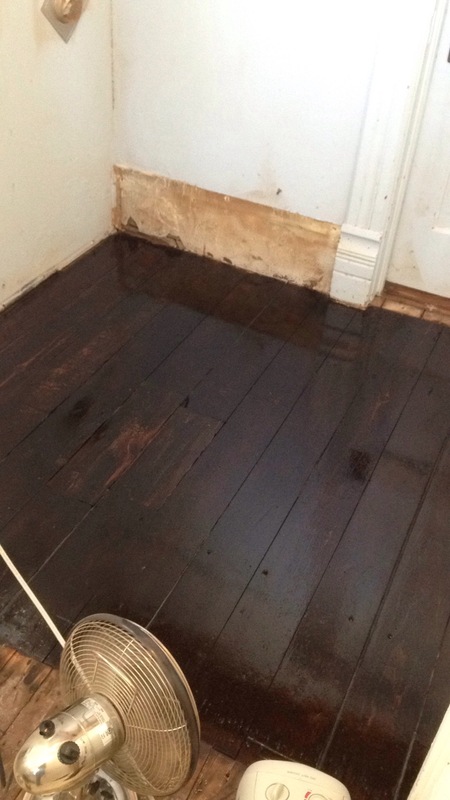 Also, there was some darker areas in the middle of the floor.. possibly water staining? Eeeek!!! they are SO DARK! WAAAAAY darker than we had discussed. It turns out, pine can be a bit unpredictable. In the corner where my husband tested out the stain, it happened to be a patch that took it much lighter, leading him to think it was the one we wanted. After the initial shock, we started to warm up to the idea of dark, espresso colored floors. We figured that with a couple coats of high gloss poly, they mighty look really dressy and cool. Also, we kind of has no other choice, except to cover them up with tile. Here is a video on the process. Basically, you get some rope, stain it and the stuff it between the joints. The last thing to do to the floors was poly. We put two coats of high gloss polyurethane. Here’s the finished product! Not what we planned, but sometimes the accidents that happen along the way can end up being the best parts of a project!